This detached villa with a private swimming pool with lounges is just outside the lively town of São Brás de Alportel in the Algarve. There is a large 4000 m2 garden with numerous terraces.The villa is 300 metres above sea level. Offering a hilltop location 1.5 km from São Brás de Alportel, Hotel Rural Rocha da Gralheira offers an outdoor swimming pool, bar and à la carte restaurant. 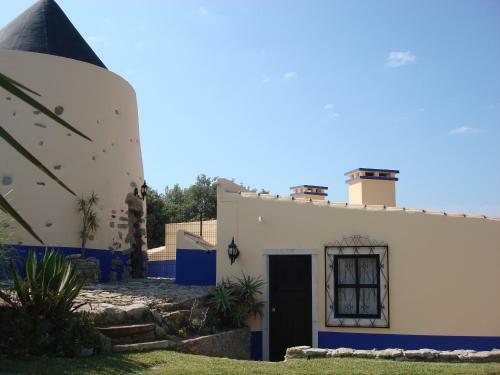 Vila Quinta dos Ferreiros is a restored windmill located in São Brás de Alportel. Surrounded by gardens, it offers views over the mountains of the Barrocal Algarve. It includes a swimming pool and free parking. Set in São Brás de Alportel in the Algarve Region, this villa features a patio and a garden. The air-conditioned unit is 35 km from Albufeira. The unit is fitted with a kitchen. A TV is featured.